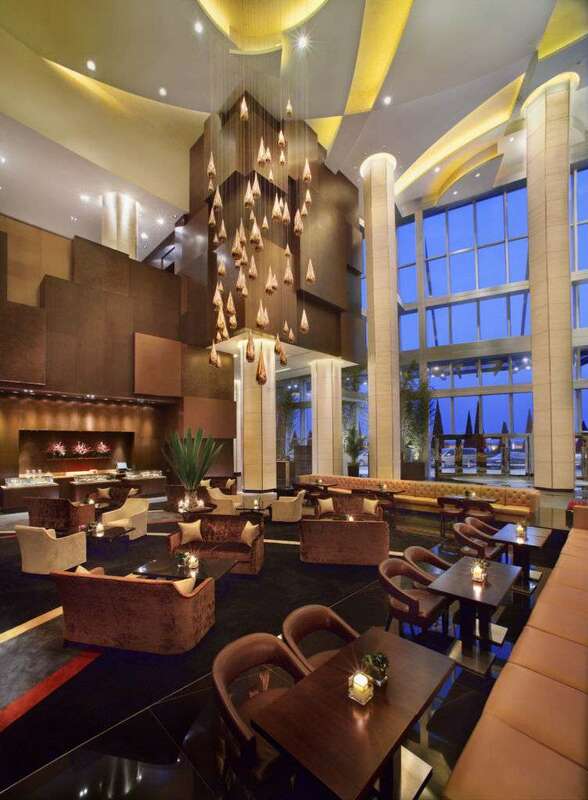 Nestled in the heart of Grand Hyatt Macau, the Lobby Lounge is an ideal venue for casual dining and friendly gatherings. 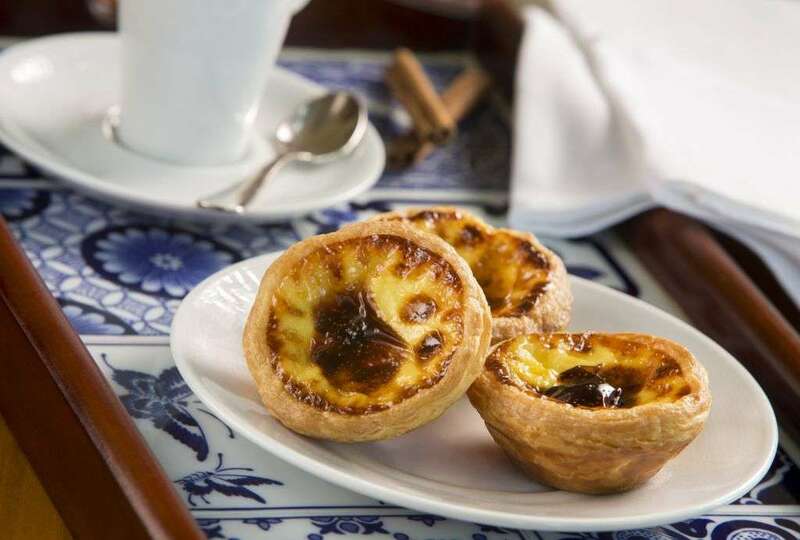 It features a Pâtisserie, offering a wide variety of sweets, such as the famous and authentic Portuguese egg tart and a selection of cakes and homemade chocolates. 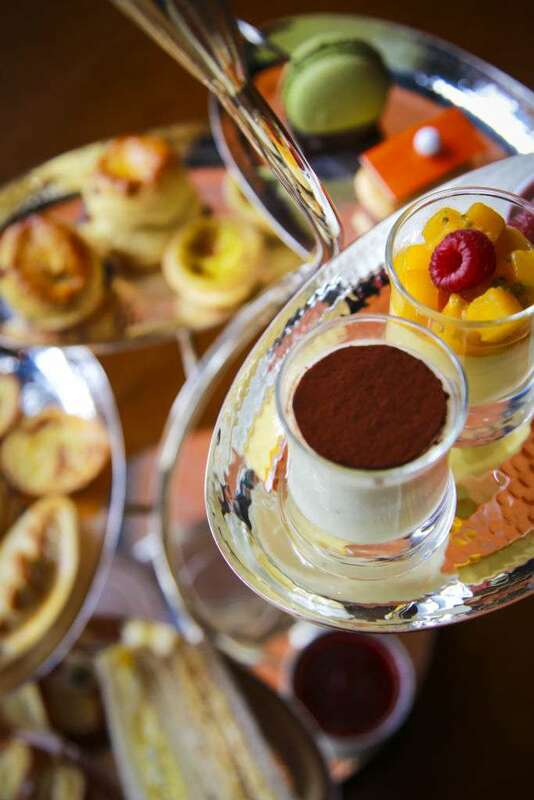 The elegant afternoon tea set is served daily from 3pm to 6pm, where you can try all sorts of delicacies served in a beautiful hand-hammered silver stand commissioned especially by the Grand Hyatt Macau. Fresh Mixed Berries – strawberries, blueberries, and raspberries served with fresh mint. Daily French Pastries – Butter Cream Oreo Cupcake, Butter Cream Raspberry Cupcake, Mango Pudding and Tiramisu dessert (I’m not a fan of tiramisu, but I really liked this one). Savory bites – Salmon with Homemade Bagel and in addition to a separate platter of Chinese dim sum, shrimp dumplings and siu mai (pork dumplings) served with in-house spicy sauce. Two Cups of Coffee or Tea – I had the Hong Kong style milk tea served in a thermos vacuum flask. The luscious highlight of this afternoon tea set is their Portuguese Vanilla and Pistachio Egg Tarts, which really comes with a unique flavor and taste. 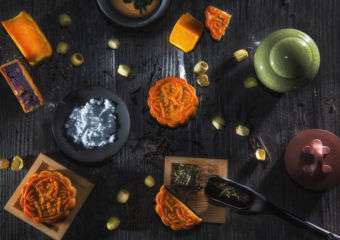 The exciting menu also provides Macau’s comfort food and local favorites such as The Pork Chop Bun, Pineapple Bun and Minchi. Healthy snacks and light bites are also available throughout the day and evening. While enjoying these treats, you get to appreciate highlighted striking cluster of copper art pieces, The Dance of Clouds and Rain by Hong Kong artist, Danny Lee. 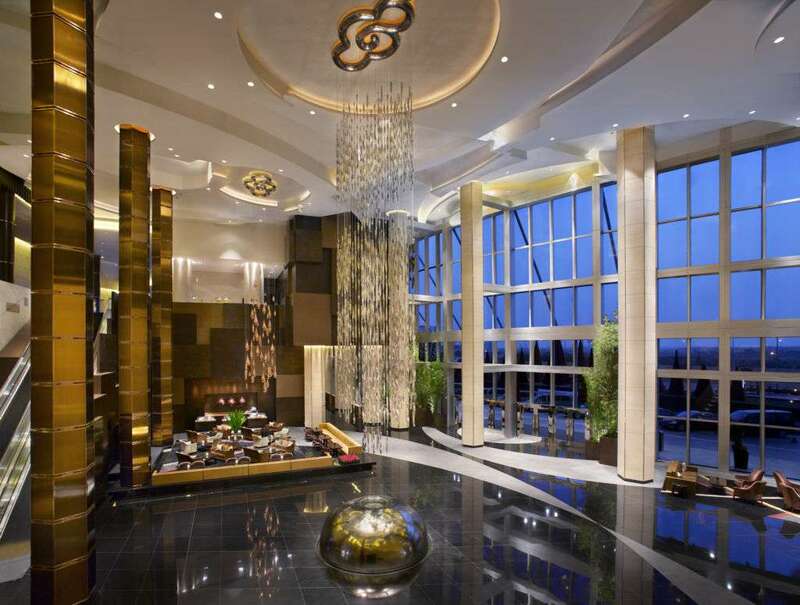 During the evening, you can also enjoy live band performances which combine Chinese and Western musical instruments. 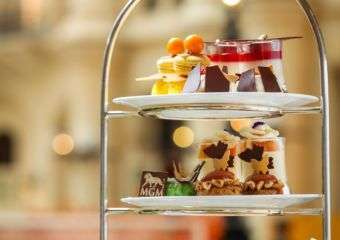 The afternoon tea set is priced at MOP $469. 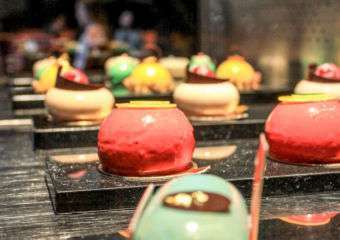 While spending precious time at Grand Hyatt Macau, if you have read Apple’s article “5 Places for Most Sought Mooncakes in Macau”, don’t forget to check out their Moon Bling Bling Gift Set.